Does energy work fit with gospel of Jesus Christ? "Laboratory experiments by quantum phycistists in the last few decades have scientifically shown the existence of a universal field of energy. This has been important as I have studied whether the premises of Energy Medicine fit with the gospel of Jesus Christ and LDS beliefs. It has been amazing to discover how much prophets have written about healing and the invisible, subtle energy of light around us. They have compared the universal, subtle energy that physicists discovered with the light of Christ and paired other principles found in both science and religion. Parley P. Pratt taught, "There are several of these subtle, invisible sub- stances but little understood as yet by man, and their existence is only demonstrated by their effects." (Key to the Science of Theology, 39) Elder Pratt, who was an apostle, follows by teaching that the purest and most refined and subtle of all substances perform the healing of the sick and that those with spiritual gifts can feel and see it. What validating statements for facilitators of energy healing!" "I have learned over and over that all truth fits together. God doesn't distinguish between scientific truth and religious truth because it is all His truth. People are usually surprised to learn that chakras are spoken of in the Bible. 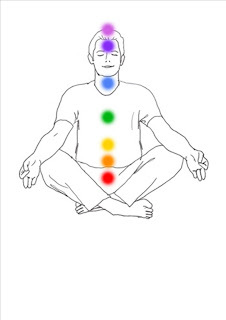 A chakra is a swirling vortex of unseen subtle energy. Scientists speak of them as step-down transformers for higher frequency subtle energies in the human bioenergy field." "Biblical prophets such as Ezekiel and Daniel use the Sanskrit word for "chakras" which is "wheels" when they speak of them. Ancient traditions teach about these main energy centers being vertically aligned in the body.The book of Ezekiel says the prophet saw wheels going "up and down" the body "as a rainbow." (See Ezekiel chapter 1) Every color and location that Ezekiel mentions for the vertical colored "lamps" he saw match the location and/or color of the ancient tradition's chakras. Furthermore, that prophet taught that the spirit of the living creature was in the wheels!" "The Bible shows a plethora of support for principles of Energy Medicine, which I discuss in the book I am writing. In addition, new fields and discoveries in science offer much validating evidence. For example, science has discovered that forgiving others and ourselves actually affects our DNA. The discovery that DNA can change is of immense importance. The new scientific field of Epigenetics supports teachings that we can consciously use our emotions to affect our DNA and our immune response.Our thoughts, emotions and feelings affect us physically! We are no longer victims of our heredity. Bruce Lipton teaches that with this knowledge we become masters of our health rather than victims of genetic circumstance. Understanding this can give ill people great hope." "Recall that the glory Ezekiel saw, "was like burning coals of fire, and like the appearance of lamps; it went up and down among the living creatures and the fire was bright" (verse 13). Verse 22 says above their head it was the color of the "terrible crystal" (which Bible scholars debate as being either white or purple). Verse 26 says, "above the firmament over their heads it was the color of a sapphire stone" (deep blue). Verse 27 reads, "I saw as the colour of amber ...from... the loins upward." Verse 27 reads, "from the appearance of his loins even downward I saw as it were the appearance of fire." I don't know what color fire looks like to you, but orange or red seem to be likely candidates because, "the appearance of the bow that is in the cloud in the day of rain, so was the appearance of the brightness round about. " If you go back to verses 15-16 5 it speaks of "one wheel upon the earth," by the [four] living creatures. The "appearance of the wheels and their work was like unto the colour of a beryl." Scholars on various languages translate that word differently. Some say a beryl is gold while others say it is commonly light green (or bluish yellow, pink or white). Interestingly, the heart chakra is said to be green and/or pink. Since the colored lamps' "brightness was as a rainbow," (ROYGBIV) we are left to expect green somewhere. In my book Healing Arts there are other quotes about fire and glory and wheels. You can read in the Topical Guide under "wheel "and find other verses in Ezekiel 10 as well as other books.